If the amount of time given to the singing of praise and worship songs, and the central position of the praise band on “the stage” is any indication, many North American churches are implicitly asserting that singing of praise songs as the main way we interact with God in our Sunday services. This means we’d better get it right. If the worship leader only leads signing, then they should be referred to as song leaders. But isn’t this just semantics? Although it may seem like I am being petty, this is some serious stuff. These are hugely important because we do them habitually. If we habitually use the term “stage,” for instance, we will come to understand what happens on it to be a performance. Smith then argues that our loves are shaped and directed by “liturgies”–habitual practices. Traditionally the church used to orient our identities toward God and the community of faith through all sorts of liturgies: the physical spaces of worship, the sacraments, the church calendar, genuflecting, kneeling, standing, offering “Peace.” Fish on Friday, the rosary, daily prayers, and many other regular and repeated practices linked the spiritual realm with daily life. In modern Christianity, we’ve abandoned almost all of these habits and rituals–liturgies. But, we’ve not abandoned liturgies. Being liturgical animals, we’ve simply adopted new ones. We’ve replaced the old ones with new ones. And the new ones are largely modern and secular: Starbucks and McDonalds, Saturday hockey and Sunday football, Homecoming and Holloween, Twitter and Snapchat, YouTube and Netflix, craft beer and green-coloured smoothies, inclusion and saying “I feel,” when we mean “I think.” These are not just things we do, they shape who we are because they are regular, habitual–they are liturgies. We have replaced sacred liturgies with secular liturgies. This ain’t good if you believe that a spiritual reality is meaningfully interacting with the material one. Are we training people to leave the church? There is some (a lot of?) anxiety in the North American Church about people, especially young people, vacating the pews. To retain their members, and attract new ones, many churches have attempted to become more culturally “relevant,” but this has exacerbated the problem. Being culturally relevant usually means importing secular liturgies into the church. The Starbucks’ Coffee culture, showing movies on Youth Nights, dress-up parties on Reformation Day and the singing to the instrumentation and stylings of popular music are examples. The problem is that secular culture does these liturgies better than the church does, so the church is actually training people to eventually prefer Starbucks and pop concerts to Church. According to the Westminster Confession, one of the functions of the sacraments is as a “visible difference between those that belong unto the church and the rest of the world.” The authors of the Confession understood the importance of having a different experience at church than in the world. Our rituals used to be different than those of the world, but in some churches, even our sacraments are being secularized. For the health, and perhaps survival, of the North American church, we need to be different, not the same. How can we increase the involvement of the congregation in the singing part of worship? Is there a way to teach the worshipers how to harmonize? Should we sing more hymns? Should we sing different hymns (than just the 5 we do now)? Should we sing hymns in their original forms, same harmonies, and no modern (and inferior) additions? 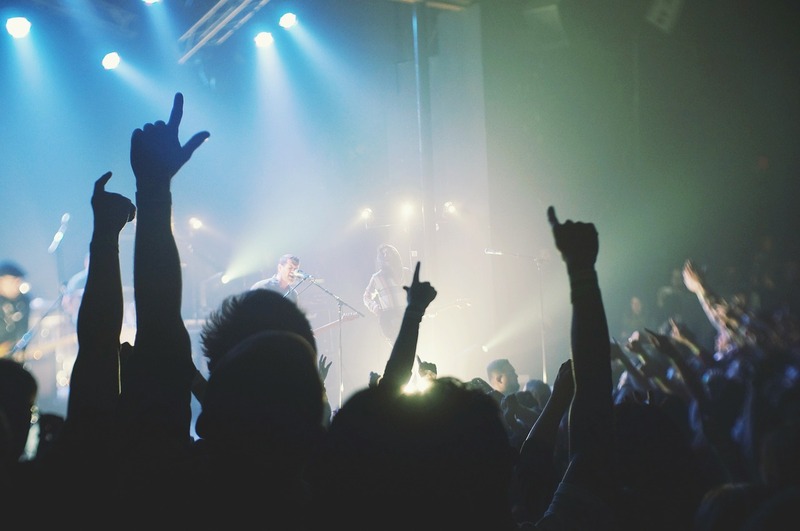 Are volumes and mixes supporting congregational singing, or drowning it out? Can we use different instrumentation than a typical rock and roll band? Can we develop different song structures besides the verse-verse-chorus-verse-bridge-chorus-chorus pattern? Could we create a new genre of Christian music for corporate worship? Is it necessary for the worship band to be front and centre? How can we utilize lighting to take the focus off of the musicians? Can we resurrect some traditional liturgical forms or elements of worship? Can we invent new liturgical forms that are different than secular liturgies? How can we emphasize God’s action in worship and the sacraments? Can we move toward thinking about the sacraments as more than ceremonies of remembrance? Can we mention, or even link our sermons to, the church calendar? This list includes just some of the ways that we could bring more sacred liturgies into the Sunday service. Do you have any ideas you could add to this list? In my series The Poetry of Worship, offer ways we can improve the lyrics of the praise and worship songs we sing. More importantly, I explain why we ought to.